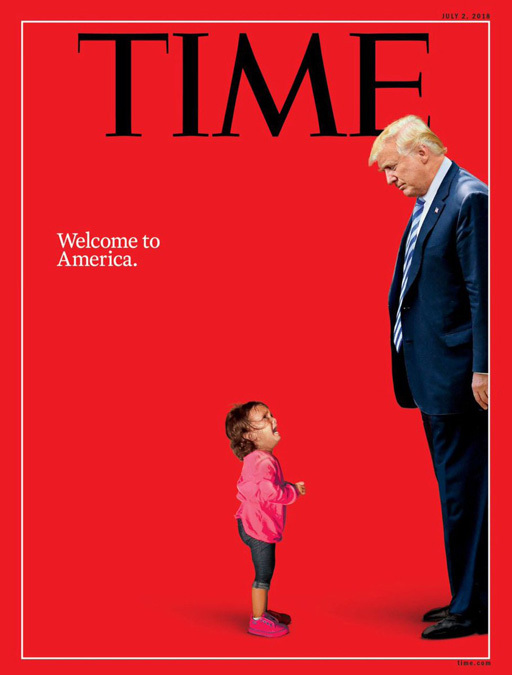 Donald Trump covers TIME Magazine again this week. TIME's Karl Vick writes: “For the first 240 years of U.S. history, ... our most revered chief executives reliably articulated a set of high-minded, humanist values that bound together a diverse nation by naming what we aspired to: democracy, humanity, equality. ... Donald Trump doesn’t talk like that." And from Molly Ball: “The inhumanity unfolding at the border has not just been a test for Trump. It has been, and will continue to be, a moment of reckoning for America. "Trump has often bet that if he just rides out the current frenzy, the anger will fade and some new controversy will erupt. He thinks shock is a temporary condition, moral outrage is phony posturing and that the American people can be numbed to just about anything. "If there is a Trump creed, it’s that there’s no such thing as going too far. That may have found its limit with putting children in cages. "